Frederick High School continues its commitment to RESPECT THE GAME. Interscholastic athletics are an extension of the classroom and lessons are best learned when the proper respect is accord to all. Please let the coaches-coach, players-play, and officials-officiate. Booing, taunting, or attempts to intimidate players, coaches, officials, or other fans will not be tolerated and you will be removed from the grounds immediately. Thank you in advance for your sportsmanship and cooperation. Fans may not not bring backpacks and large bags into our events, and may be asked to leave these items at the gate for pick up following the event. Bags may also be subject to search. Middle and Elementary School students must be under the direct supervision and accompanied by an adult at all times. Once in a school event, no readmission is allowed. Bring wallets, purses, and jackets, etc. with you when you arrive. No alcohol, tobacco, or e-cigarette of any kind are allowed on our campus. 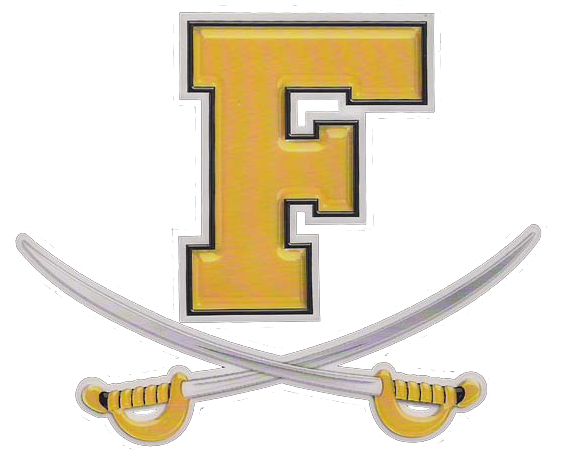 Anyone under the influence of drugs, or alcohol to any degree will be dealt with in accordance with FHS/FCPS policies and local and state laws. Running and ball playing are not allowed on our concourse or in our stands. No grills or cooking devices are permitted. anywhere on school grounds. Hoods/hats cannot be worn during events. Noisemakers are not allowed in the gymnasium. When cheering we ask that fans not stand on or jump upon the seating of the bleachers. We advise all spectators to take note of the gymnasium exits and exit the gymnasium through the nearest exit. Spectators should have a plan for exiting the gymnasium in emergency situations. Parents should monitor young children attending the event, but should you become separated have a planned meeting place set up ahead of time. In recent years, many sports fans have lost perspective and have associated the collegiate and professional sports with that of high school programs. Consequently, some problem areas not associated with an educational program have occurred. Show respect to the officials. Officials should be recognized as impartial arbitrators who are trained to do their job and who can be expected to do it to the best of their ability. Recognize and appreciate skill and performance regardless of affiliation. Applause for an opponent’s good performance is a demonstration of generosity and proper sportsmanship.